On 6th December 2016, the Government’s Higher Education and Research Bill had its Second Reading in the House of Lords. 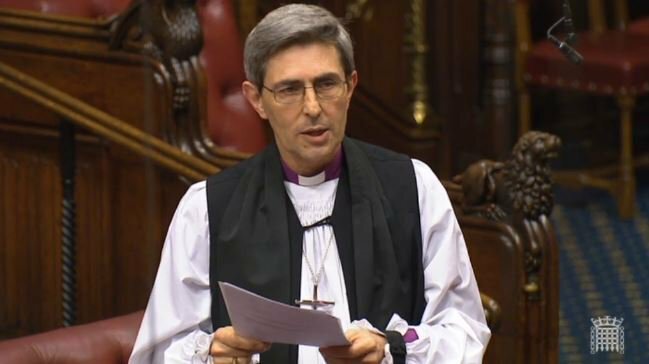 The Bishop of Winchester and lead Church of England bishop for HE, the Rt Revd Tim Dakin, spoke during the debate on the Bill. The Lord Bishop of Winchester My Lords, I declare my interests as a visitor to five Oxford colleges and the governor of Winchester University. I thank both the Minister for Universities and Science and the noble Viscount, Lord Younger, for meeting me to discuss some of the core issues concerning the Bill. I say, too, that I look forward to hearing the maiden speech of the noble Baroness, Lady Sugg. The positive aim of this Bill is clear: to enhance our world-class higher education system. In particular, I welcome the potential of proposed changes: putting students at the heart of the system through the Office for Students; emphasising the importance of good teaching; encouraging new providers and innovation; and a more interdisciplinary approach to research. It is also encouraging to hear that the Government are listening to concerns and are willing to amend the regulatory framework to take account of points raised. While these are important traits, does this definition adequately describe what has made our university tradition great, and respected around the world? Surely, if our institutions are recognised as setting an international gold standard, we need to say more about their qualities? Can we not draw on our long heritage and best research to offer a short, rich definition of a university? Do we not want to talk about communities of scholars, researchers and students who are in pursuit of knowledge, and the search for understanding and shared wisdom, so we can better understand our world, and together make common purpose for the good of all across globalised societies and economies? Put simply, universities are more than large organisations that teach and award degrees in response to market forces; rather they are institutions which provide a public good for the common good—surely something of a wider and richer definition is needed in the Bill or in the guidance and regulations which will flow from it. The second area I want to highlight is the autonomy of universities, on which their diversity and variety depend. This is one of the great strengths of our current higher education system made secure in many instances through university charters. Such autonomy bolsters, for example, the provision of vocational courses in teaching, social work and nursing. These may be damaged if autonomy is threatened. As a governor of one of the twelve Anglican foundation universities where such courses are taught, I see the value of setting vocational higher education in the context of a community of scholars teaching across the range of university disciplines, offering a formation and not just providing a product to be bought. Thirdly, I do not doubt that a well-constructed TEF could help transform the way in which university governors and students form judgments about the quality of the education offered. The complexities of the TEF metrics and grading process can now be considered in detail through government documents. I am still concerned that peer evaluation is lacking; sector and intra-grade comparisons are not equivalent. The current predictions are that 15% of universities will be graded gold, 62% silver and 23% bronze. This challenges an earlier test-run, conducted by the Times Higher Education, suggesting that some renowned world-class universities would not be awarded a gold-standard rating—an embarrassing own goal to avoid. Given its potential impact it is crucial that the TEF does not misrepresent university quality and create a PR nightmare. Finally, the Higher Education and Research Bill, the Technical and Further Education Bill and the apprenticeship levy are, together, a great opportunity for a whole-system approach. How could a joined-up approach be incorporated into this Bill so that we ensure that these three aspects of our education system work together? Indeed, is this not the best way to build on the legacy of the last 25 years—widening participation, opening access, improving research and ensuring sustainability? With revision in the areas I have highlighted, I am sure this Bill has much to offer. I wish the Government well in its passage, but look forward to exploring emendations. That is the definition I have, and I shall stick with it. In the unlikely situation that a university were to have its degree-awarding powers or university title removed, and these were contained in a royal charter, the Secretary of State could amend the charter to reflect the changes. This would be subject to parliamentary scrutiny.